Every organization faces the challenge of new manager training: transitioning an employee from team player to team leader. This transition from employee to supervisor is one of the hardest an employee must make in their career. After the promotion occurs, what should you do to make sure the transition goes smoothly and that your new supervisor is successful in their new role? One best practice is to approach the transition like you would on-board a new employee. Would you expect your new employee to learn by trial and error? Probably not. Like a new employee, anticipate that new supervisors need both initial and on-going training and support to perform their new role and responsibilities. Similar to on-boarding, the more you develop your employee upfront, the less redirection is needed later. Here are some suggestions. 1. Clarify expectations and priorities. Most new supervisors have little clarity regarding what their priorities and expectations should be in their new role and aren't prepared to be effective in their new role. As a first step, spend time discussing their new responsibilities and performance expectations and how these have changed from their previous role. 2. Discuss your organization's management philosophy. Every organization has management norms and a certain style of leadership that supports its culture, so it's important to discuss with your new supervisor how your organization expects employees to be managed. This helps ensure that employees are supervised consistently throughout the organization. 3. Schedule them for new manager training sooner than later. Schedule employees for supervisory training as close to the time of promotion as possible or even prior to the transition, particularly for softer skills (i.e. communication, conflict management, etc.). Make sure new supervisors are set-up with the most critical baseline skills they need to be successful on the job. This will minimize common new supervisor mistakes. 4. Brief them on managerial procedures. Administering a performance review, conducting a write-up, handling employee leave, or dealing with a grievance are just a few of many complicated issues in which your new supervisor has never been exposed. Make sure supervisors are knowledgeable about correct procedures to handle these issues and can access the proper paperwork and guidance. 5. Coach them on critical conversations. Your supervisor will soon find themselves in tricky situations such as dealing with an underperforming employee, high-performing but dissatisfied employee, employee who comes to work late, or a team that isn't working together. These situations require difficult conversations and often require new manger training. Consider counseling and role-playing with them on the right and wrong things to say in these conversations and how to handle and mitigate common employee problems. 6. Provide time to interact with other managers. One of the best ways for your new supervisor to learn the ropes of management is to spend time with other experienced managers and excellent leadership role models who can encourage and guide them, listen to their challenges and frustrations, and help them learn through their own experiences. It's unlikely that your newly promoted employee has ever considered how their interpersonal style helps or impedes their effectiveness. As soon as they start managing people, however, the quirks of their interpersonal styles (how they deal with conflict, their communication preferences, their personality, etc.) become apparent. Provide tools to help them become more aware of their style and behavior and flex it to meet others' needs and become a more effective manager. 8. Redirect their natural reflexes. Every new supervisor experiences some natural reflexes—including the urge to do the work themselves and impose their ways of doing things on others without building consensus or asking for input. New supervisors will need to be encouraged to fight their natural reflexes to go back to the tactics that made them successful in their prior role. Recommend books, tools, articles, blogs, job aids, and other tools for your new supervisor to access in order to become a better manager. Better yet, create a library of these resources at your organization. This will also help your other managers in their on-going management development. 10. Observe their transition to identify additional areas of development. In their first few weeks and months on the job, observe how their transition is going. Specific issues to observe may include how much (or little) they are delegating, how they are interacting with their employees, and their team's performance. Talk to the new supervisor and employees on the supervisor's team to gather additional feedback. If you notice issues early on and correct them, it's unlikely that they will escalate. 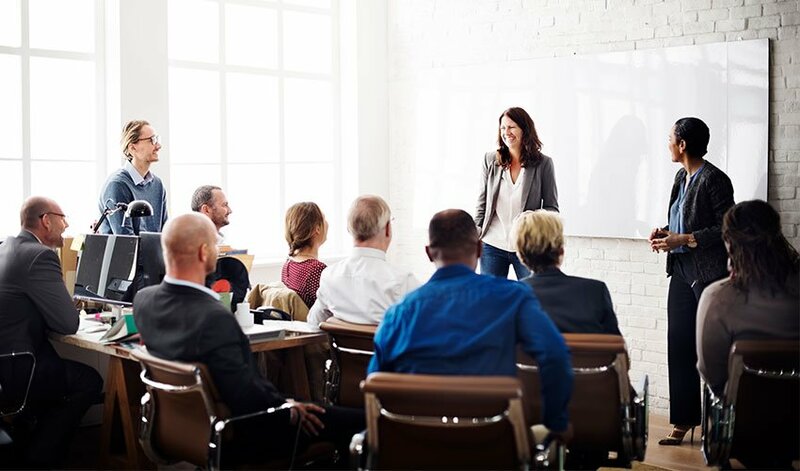 You can never fully prepare managers for all of the challenges they will face, but by providing training, guidance, and support to supervisors before they hit the front-lines you can set them up to succeed as new leaders.